It’s official: TuneDome EDM Network is a Record Label too! In a nutshell: Since TuneDome was set up as a free network/hub for dance music producers/DJ’s to promote and to share love for EDM, our main goal in setting up our own record label was to be able to promote our members’ music. Well, now we can! In other words, we are ready to help you. We also know how annoying it is to deal with TuneCore and other cookie-cutter distributors and how difficult is to get approved by Beatport on your own. 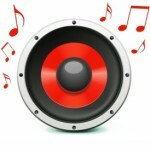 TuneDome Records is your solution! We will not only distribute music free for you, we will even master your tracks free of charge – don’t you love it?! In other words, you have everything covered: production, mastering, mixing/remixing, distribution and promotion. All you have to do is do what you are good at – produce awesome dance tracks! So, don’t wait – PHASE 2 of the Fresh Talent program already began and will close in a few weeks: submit your tracks on this site by completing a simple 5-minute application! You don’t even need to sign up as a TuneDome member (although it is absolutely free and you are encouraged to do so). A free online network and a global record label for DJs and Producers of dance music. We inspire, unite, and connect music to audiences everywhere. Share. Collaborate.  Submit your EDM demos and ideas. Join us free!